Plastic revolutionised our lifestyles by its virtues — it’s inexpensive, lightweight, strong, shock-resistant, corrosion-resistant and readily available. It can be coloured, melted, shaped, squashed, rolled into sheets or made into fibres. The plastic product proliferation has been extraordinary in the last 70 years and now we produce nearly 300 million tons of plastic every year. Start listing down daily-use items which do and do not comprise of some form of plastic, and you’ll realise that the latter is far too difficult. Single-use, a term referring to products — often made of plastic — that are made to be used once and thrown away, has been named Collins Dictionary’s word of the year for 2018. Low cost and easy access have made us switch to a disposable lifestyle — about 50% of the plastic manufactured is used just once and thrown away, ending them up in oceans or landfills. Plastic never goes away: it is made to last forever, yet 33 per cent of all plastic — water bottles, bags and straws — are used just once and thrown away. It may take up to 1000 years for plastic items to decompose in landfills. 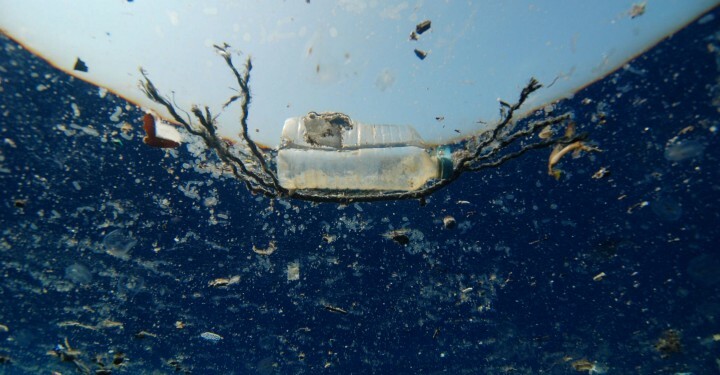 Approximately 4 billion pounds of trash per year enter the ocean. 80% of this is from land-based sources, including individuals, industry and improper waste management/infrastructure. Only 20% is the result of ocean-based sources, such as fishing, shipping, and cruise ship industries. There is an island of garbage twice the size of Texas inside the Pacific Ocean: the North Pacific Gyre off the coast of California. It is the largest oceanic garbage site in the entire world. And Texas is 695,662 km² in area. Plastic pollution is very real and single-use plastics are small but have a large impact. John Wesley Hyatt invented the first polymer in 1869 inspired by a New York firm’s offer of $10,000 for anyone who could provide a substitute for ivory. The first fully synthetic plastic was invented in 1907 when Leo Hendrik Baekeland accidentally created Bakelite. The new thermosetting plastic was used for everything from phones to jewellery to clocks. Polyethylene, the most commonly used plastic, was created by accident at a chemical plant in Northwich, England in 1933. While it was created in small batches, it was the first industrially practical synthesis of a material and was initially used in secret by the British military during World War II. In 1965, a Swedish company Celloplast patented the one-piece polyethylene shopping bag. It was designed by engineer Sten Gustaf Thulin and quickly replaced cloth and plastic in Europe. A rare novelty in the 1970s, plastic shopping bags are now an omnipresent global product. They are showing up in the darkest depths of the oceans to the summit of Mount Everest to the polar ice caps. In 1982, Safeway and Kroger, two of the biggest supermarket chains in the United States, switched to plastic bags. More stores followed suit and by the end of the decade, plastic bags replaced paper around the world. By 2011, one million plastic bags were being consumed every minute globally. 350–400 million metric tons of plastic, of which roughly half of the annual plastic production is for a single-use product. 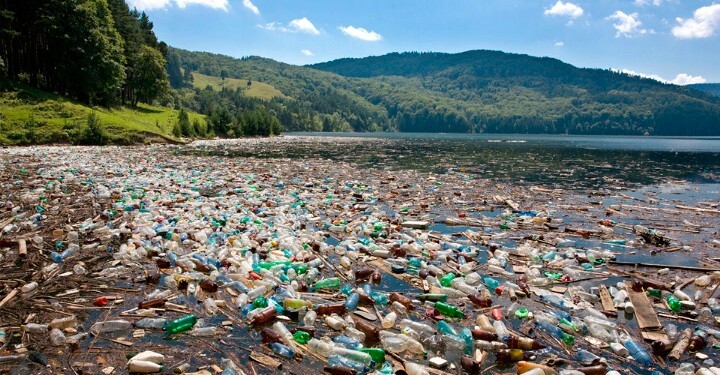 1.6 million barrels of oil for producing plastic water bottles. 32% of the 78 million tons of plastic packaging is left to flow into our oceans; the equivalent of pouring one garbage truck of plastic into the ocean every minute. This is expected to increase to two per minute by 2030 and four per minute by 2050 which could mean there will be more plastic than fish in the world’s oceans. 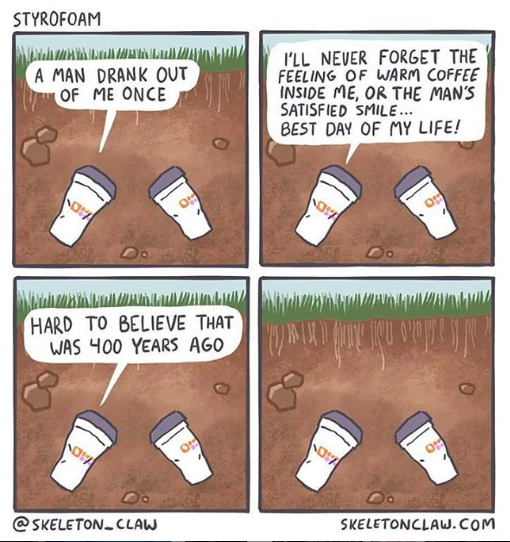 What’s Plastic doing to us? Plastic affects human health: Toxic chemicals can be found in the blood and tissue of nearly all of us, exposure to which is linked to cancers, birth defects, impaired immunity, endocrine disruption and other ailments. Plastic spoils our groundwater: Under the thousands of landfills in the world, toxic chemicals from plastics drain out and seep into groundwater, flowing downstream into lakes and rivers. Plastic attracts other pollutants: Chemicals in plastic which give them their rigidity or flexibility (flame retardants, bisphenols, phthalates and other harmful chemicals) are oily poisons that repel water and stick to petroleum-based objects like plastic debris. Plastic threatens wildlife: Wildlife become entangled in plastic, they eat it or mistake it for food and feed it to their young, and it is found littered in even extremely remote areas of the Earth. Dead whale with 1,000 plastic pieces in stomach found in Indonesia. Plastic poisons our food chain: Even plankton, the tiniest creatures in our oceans, are eating microplastics and absorbing their hazardous chemicals. The tiny, broken down pieces of plastic are displacing the algae needed to sustain larger sea life who feed on them. Plastic costs billions to abate: Everything suffers from tourism, recreation and businesses to the health of humans, animals, fish and birds — because of plastic pollution. The financial damage continuously being inflicted is inestimable. Every minute a truckload of plastic enters the ocean but to know where is it coming from Greenpeace together with Break Free From Plastic enlisted the help of 10,000 volunteers across 42 countries to embark on the world’s most ambitious plastic cleanup and brand audit project yet. 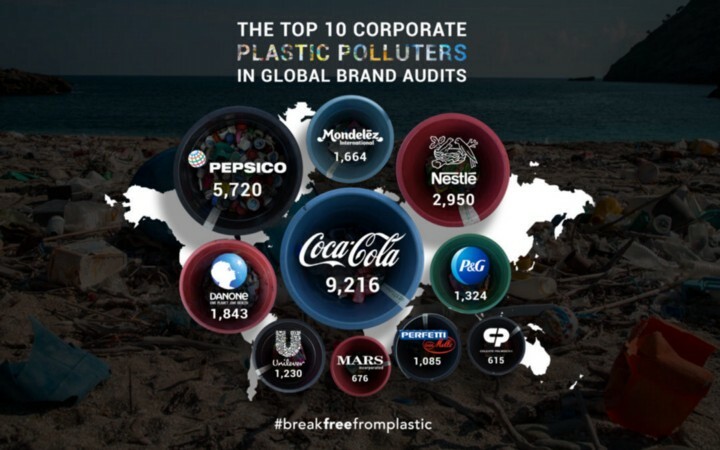 After covering 6 continents in 9 months with 239 cleanup events and more than 187,000 pieces of trash later the most comprehensive snapshot to date of how corporations are contributing to the global plastic pollution problem was given. The top 10 most commonly found brands (in decreasing order) were: Coca-Cola, PepsiCo, Nestlé, Danone, Mondelez International, Procter & Gamble, Unilever, Perfetti van Melle, Mars Incorporated and Colgate-Palmolive. But corporations have started taking notice, mostly due to consumer pressure. Instagram users recently tagged corporations with #isthisyours hashtags when they discovered plastic from their brands. ASDA, the UK food retailer, plans to immediately reduce plastic use by 10 per cent in 2018, which will require the replacement of 2.4 million drinking straws. All of its stores will also remove single-use cups and cutlery by 2019. It set out ambitions to make all its branded packaging recyclable by the mid-2020s. McDonald’s decided to ensure 100 per cent of its packaging comes from renewable, recycled or certified sustainable sources within the next eight years. Costa Coffee operates over 3,000 stores around the world and commitments have been made including discounts on reusable cups and the planned removal of all plastic straws from cafes. By 2020, the company is targeting half a billion recycled cups, the equivalent of its current annual sales in the UK. Evian, a world-famous brand of bottled water, has made the pledge to only produce bottles which are 100 per cent recycled by 2025. A partnership with Veolia will also rapidly scale-up recycling rates and ensure discarded bottles don’t end up in the ocean. Tottenham Hotspur, the North London football club, moved to eliminate plastics from its new stadium. Fans will be sold disposable cutlery, straws and stirrers from day one. Vanuatu: The first nation in the world to legally ban the use of plastic straws. The passing of legislation in February saw the end of single-use plastic bags, polystyrene takeaway boxes and straws by 1 July 2018. Kenya: As of August 2017, anyone in Kenya who’s found using, producing, or selling a plastic bag faces up to four years in jail or a $38,000 fine. It’s the world’s harshest plastic bag ban, and it’s prompting some seriously creative solutions. Zimbabwe: In July 2017, Zimbabwe announced a total ban on expanded polystyrene (EPS), a styrofoam-like material used for food containers that take up to a million years to decompose. Taiwan: In February 2018, Taiwan announced one of the farthest-reaching bans on plastic in the world, restricting the use of single-use plastic bags, straws, utensils, and cups. Montreal: The Canadian city of Montreal kicked off 2018 by banning single-use plastic bags. The first-time offenders could face fines of up to $1,000 for individuals and $2,000 for corporations. Malibu: In March 2018, the Californian city of Malibu’s local council voted to ban the sale, distribution, and use of single-use plastic straws, stirrers, and plastic cutlery which became effective from June 1. 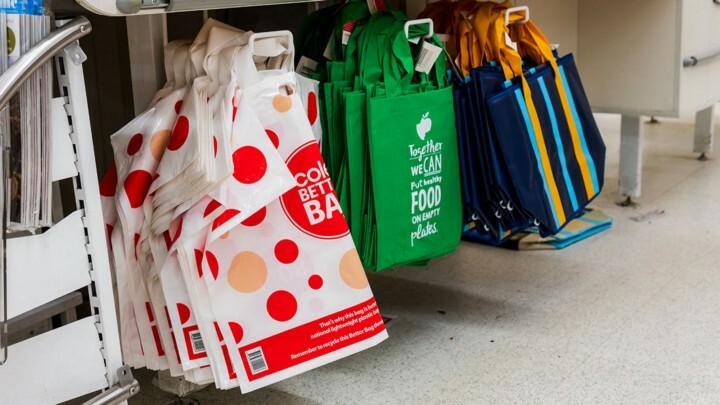 Australia: South Australia, the Australian Capital Territory, Tasmania, the Northern Territory and Queensland have state-wide bans on single-use plastic bags. 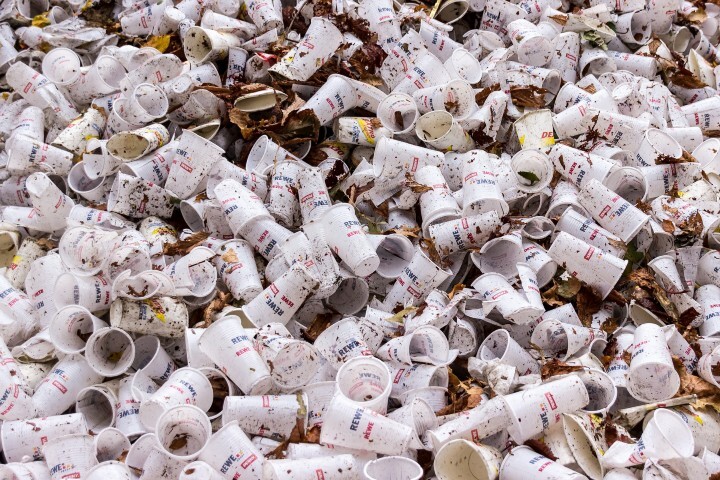 Hamburg: The German city brought in a niche plastic ban in February 2016 against non-recyclable plastic coffee pods which were earlier being piled up in landfills in billions each year. France: In 2016, France became the first country to announce a total ban on plastic cups, plates, and cutlery, to be brought in from 2020. Rwanda: When other countries around the world were just starting to think about imposing taxes on plastic bags, Rwanda banned them completely. Since 2008, carrying a plastic bag in the country can earn you a jail sentence. India: Prime minister Narendra Modi announced the elimination of all single-use plastic in the country by 2022. We could broadly divide global initiatives into three broad categories. 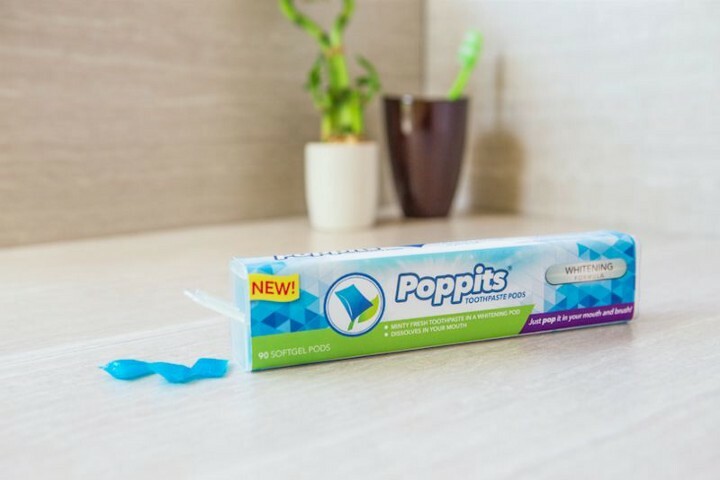 New products which are biodegradable substitutes to plastic, like Envigreen, FinalStraw, Poppits® Toothpaste Pods, Bakey’s Edible Cutlery and the Bogobrush. 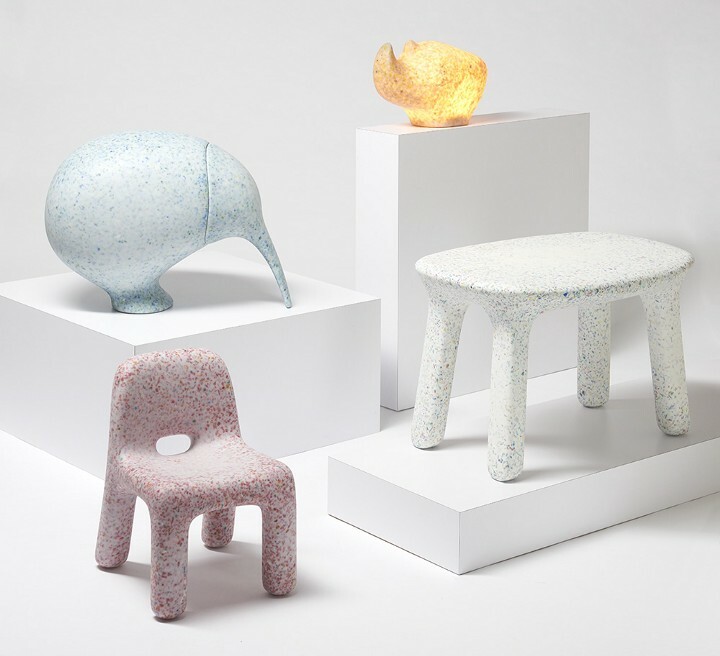 Recycling and upcycling, to divert waste from going to landfills and oceans, like Ecobirdy children’s furniture and the Dutch plastic bicycle path. Services which allow you to pay or earn in exchange for plastic waste. For instance, the Return and Earn Container Deposit Scheme by the New South Wales Government, Beijing’s initiative to allow riders to pay with plastic bottles and GO Box, a way to get your meal served in a REUSABLE takeout container. 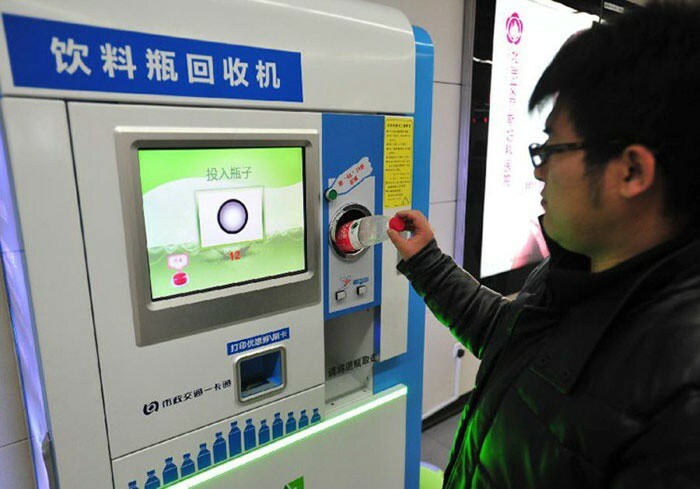 Beijing’s initiative to allow riders to pay with plastic bottles. 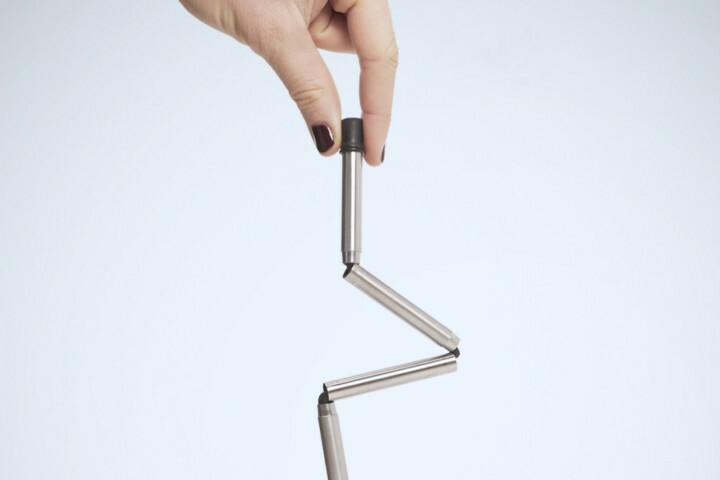 Have you come face-to-face with the single-use crisis? How are you dealing with it? We would love to know your thoughts.